What areas should our local councils or regional authorities cover? This page considers this question. It deals with the kinds of areas that local government structures can cover and the options for working out what the boundaries of these areas should be. It considers both traditional or identity-based boundaries, and boundaries based on economic ties. 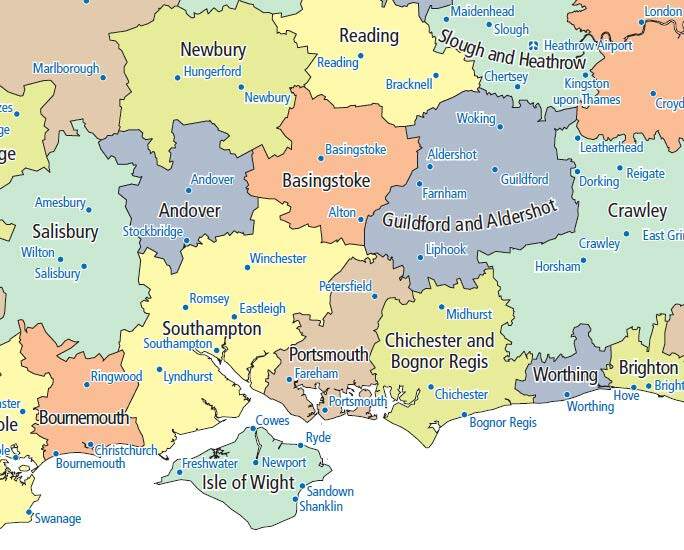 It also presents possible future boundaries for larger authorities in Hampshire and the Isle of Wight and in South Yorkshire. Government always takes place at different levels: some issues are decided by the UK government, others by various types of local government. Some people would like some issues to be decided by regional bodies, covering areas much smaller than the UK, but bigger than current local councils. Other people would like some matters to be decided at a very local level, in villages or neighbourhoods. What should be the areas on which local and regional government is based? We all have a postal address, which is a list of ever-larger areas through which we help the Post Office to find us. We start with our house number or name. Then most of us have a street name. Many people need then to add the name of a village or small town, before getting to the main town, and then perhaps the county. If we need to be reached from abroad, we will add ‘England’ or ‘United Kingdom’ at the end. At the most local level, many places (but not all) have neighbourhood committees or parish or town councils. Then all areas have local authorities. Some areas – such as South Yorkshire, Southampton, Portsmouth, and the Isle of Wight – have one, unitary local authority. Others – including Hampshire except for Southampton and Portsmouth – have two: a district council and a county council. Some parts of the UK – London, Scotland, Wales, and Northern Ireland – then have a regional level of government. Finally, we have the national government for the UK as a whole. It is important to think about the sorts of decisions – if any – that should be made at each of these levels and about what structures, covering what areas, should exist at each level. Whichever level of government we are considering, there are choice to make about what the boundaries of each area might best be. We are unlikely to get into discussions about the boundaries of neighbourhoods or districts during the assemblies, and the boundaries of England and the UK are fixed. So what we really need to be thinking about are the boundaries of possible city regions, combined authorities, or regional assemblies. Areas can be determined by reference to traditional boundaries. In England, this has normally meant traditional county boundaries. These are familiar to people, and some may inspire feelings of pride, belonging, or identity. For example, many people are proud to live in Yorkshire, or in Cornwall. The main alternative to this is the use of ‘functional economic market areas’ (FEMAs). A FEMA can be defined in relation to common commuting patterns, or shopping or house-moving patterns. FEMAs will often take no account of traditional boundaries. English counties immediately before 1974. Source: Wikipedia. In practice, many administrative boundaries take account of both of these considerations, and are a compromise between them. It should also be remembered that, whatever boundaries a local council uses, it will always have working relationships with its neighbours. Boundaries do not entirely ‘cut off’ the people on the other side of them. 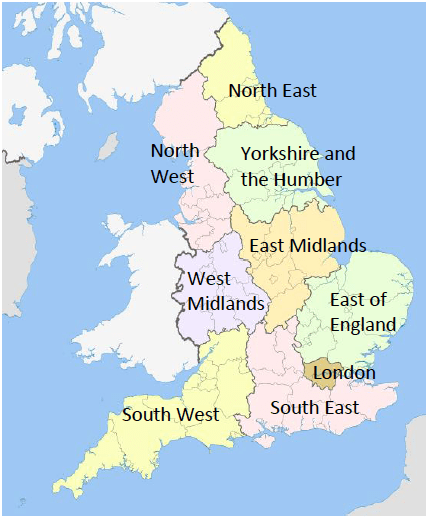 England has been divided into county areas, for various purposes, for hundreds of years. These counties included Hampshire and Yorkshire. When elected local councils were introduced, in the late 19th century, the traditional county boundaries were used. Although traditional boundaries may weigh strongly with many people, they have been adjusted or changed in the recent past. For instance, in 1974 a wholesale reform of local council areas took place in England. Whilst this respected many county boundaries, there were changes. Some have become accepted (for instance, Bournemouth was moved from Hampshire into Dorset). Others were very unpopular (for instance, the creation of Humberside) and have since been reversed. 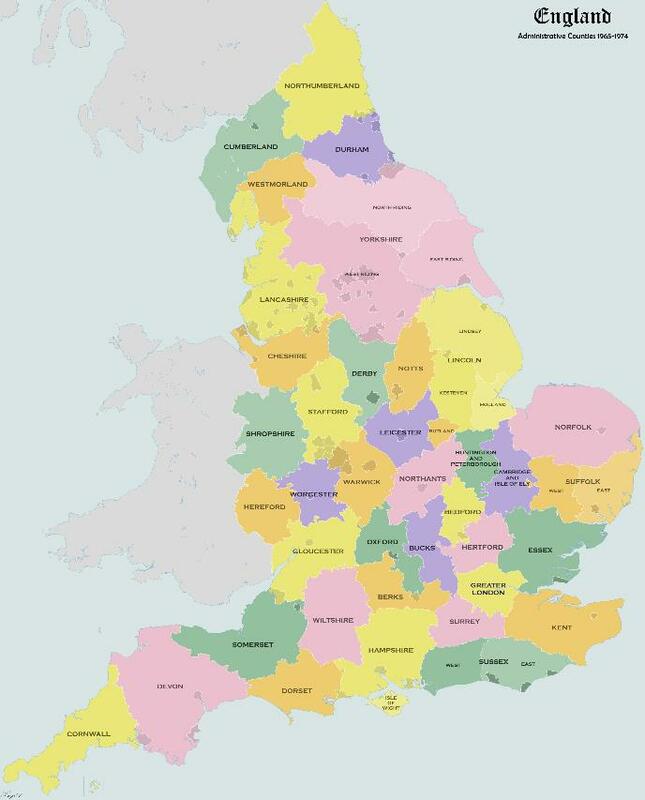 The map shows England’s counties as they existed immediately before the reforms of 1974. A ‘functional economic market area’ (‘FEMA’) is one that is based on the flows of economic activity and economic linkages between areas. Travel-to-Work Areas in the Assembly North region. The most common way to establish a FEMA is via the ‘travel-to-work area’. A travel to work area is normally defined as an area where three quarters of the journeys to work are within the area, rather than to somewhere outside it. FEMAs can also be measured via consumer service markets, or ‘shopping areas’. A shopping area is the area from which a large retail centre (for instance, a city) draws its customers. Another measure that can be used is the ‘housing market area’. A housing market area is one in which most house moves take place within the area, rather than into it or out of it. There are endless debates about how a FEMA should be defined. Experts have produced a large number of different maps of England based on these ideas. We show here and on the next page maps with 2011 travel-to-work areas for the Assembly North and Assembly South regions. Particularly in the Assembly South area, they bear little relation to traditional council boundaries. Travel-to-Work Areas in the Assembly South region. The case in favour of having council areas covering FEMAs is that they reflect the realities of how people live and work, maybe better than traditional boundaries do. Councils based on FEMAs would be able to manage economic growth, and plan housing and transport supply, for a cohesive area, without needing to work jointly with other councils in the same economic area. Sheffield City Region LEP. Source: South Yorkshire Local Transport Plan . The current government has been willing to move away from traditional boundaries. In 2011 they encouraged the establishment of Local Enterprise Partnerships (LEPs), to manage economic growth policy and business support at a local level. LEP areas often follow FEMAs rather than administrative boundaries. They use larger FEMAs than the travel-to-work areas. In Hampshire, the Solent LEP covers two unitary authorities, five district councils, and parts of four other district councils, whilst the rest of Hampshire is part of the ‘Enterprise M3’ LEP alongside western parts of Surrey. In Sheffield, the LEP covers Sheffield, Barnsley, Doncaster and Rotherham, but also northern parts of both Derbyshire and Nottinghamshire. 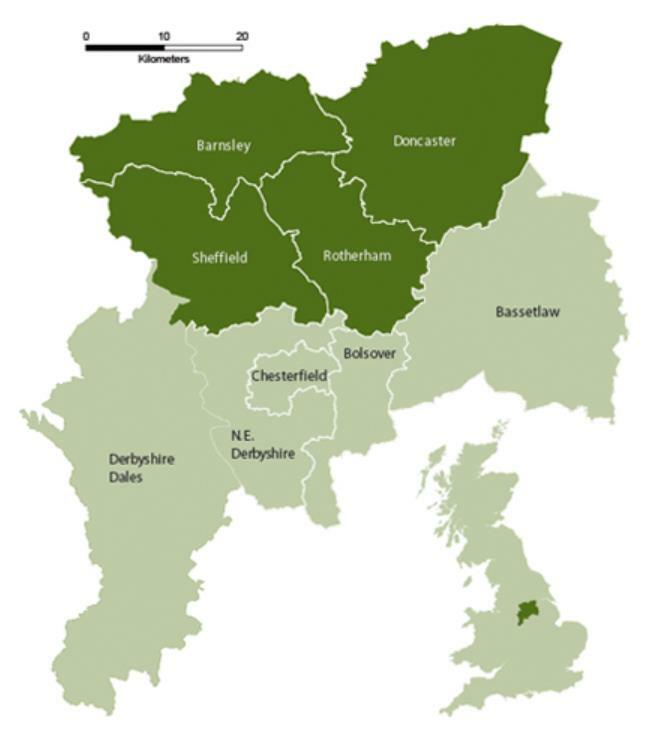 The Sheffield LEP region is the area of the Sheffield City Region, for which a devolution deal has been announced. 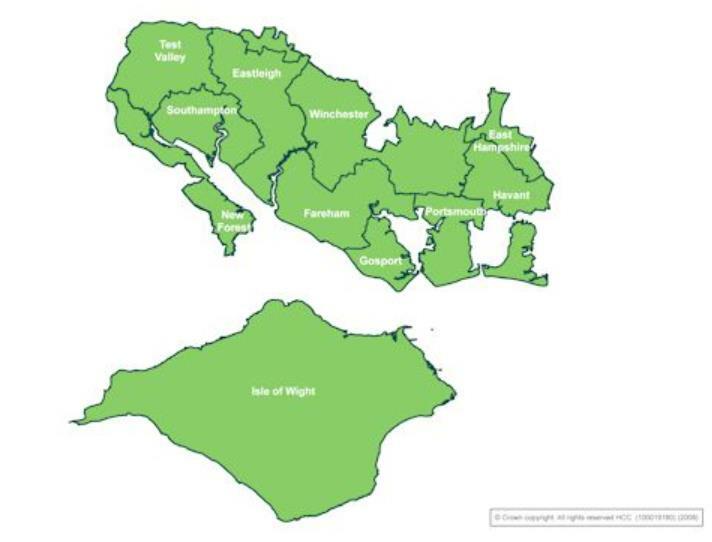 There was initial interest in a devolution deal for the Solent LEP region, but the proposal that has been put to government instead covers the traditional counties of Hampshire and the Isle of Wight. Three main alternatives for regional authorities covering larger areas than the current local authorities have recently received attention in each of the Assembly North and Assembly South areas. the South East: the South East region as generally defined extends from Kent in the east to Hampshire in the west and from Oxfordshire and Buckinghamshire in the north to the Isle of Wight in the south (see the map on the previous page); alternatively, a narrower Central South region might be created, covering West Sussex, Hampshire, the Isle of Wight, and Dorset. South Yorkshire, Yorkshire and the Humber, and Hampshire and the Isle of Wight are all based roughly on traditional county boundaries. 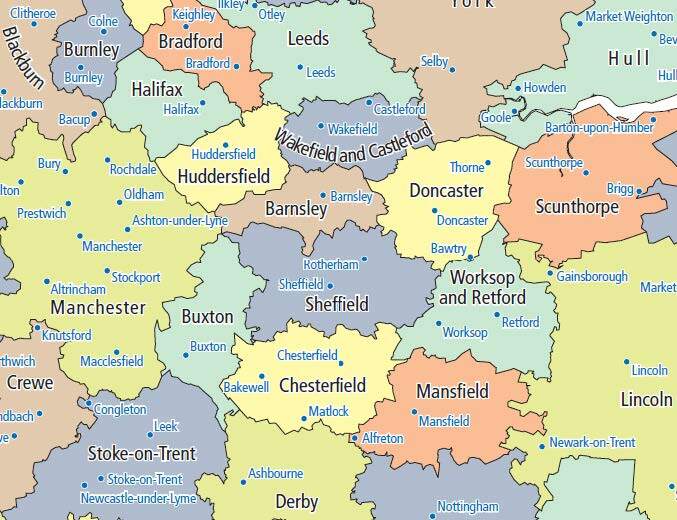 The Sheffield City Region and the Solent area are both FEMAs that cut across traditional boundaries, and the South East region, depending on how it was defined, might do the same. Of course, the assemblies are welcome to consider other options besides those just listed.